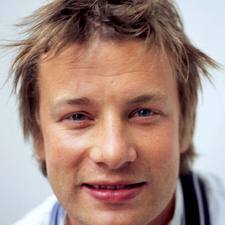 Jamie Oliver is an award winning British Celebrity Chef. 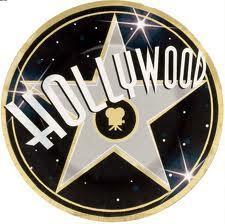 Jamie is a well known TV personality, restaurateur, writer, and promoter of healthy food choices. 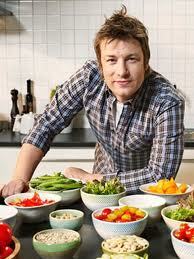 Jamie Oliver is on a mission to transform the way we feed ourselves, and our children. 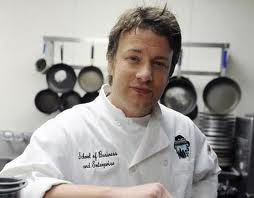 Jamie Oliver: Sadly, in the next 18 minutes when I do our chat, four Americans that are alive will be dead from the food that they eat. Right? The statistics of bad health are clear, very clear. We spend our lives being paranoid about death, murder, homicide, you name it; it's on the front page of every paper, CNN (American TV News Station). Fact: Diet-related disease is the biggest killer in the United States, right now, here today. This is a global problem. It's a catastrophe. It's sweeping the world. England is right behind you, as usual. We need a revolution. Mexico, Australia, Germany, India, China, all have massive problems of obesity and bad health. Think about smoking. It costs way less than obesity now. 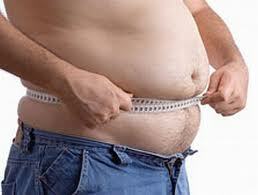 Obesity costs you Americans 10 percent of your healthcare bills, 150 billion dollars a year. In 10 years, it's set to double: 300 billion dollars a year. And let's be honest, guys, you ain't got that cash. Home. The biggest problem with the home is that used to be the heart of passing on food, food culture, what made our society. That ain't happening anymore. And you know, as we go to work and as life changes, and as life always evolves, we kind of have to look at it holistically -- step back for a moment, and re-address the balance. It ain't happening, hasn't happened for 30 years. Now, the reality is, the food that your kids get every day is fast food, it's highly processed, there's not enough fresh food in there at all. You know, the amount of additives, E numbers, ingredients you wouldn't believe -- there's not enough veggies at all. French fries are considered a vegetable. Pizza for breakfast. They don't even get given crockery. Knives and forks? No, they're too dangerous. They have scissors in the classroom, but knives and forks? No. And the way I look at it is: If you don't have knives and forks in your school, you're purely endorsing, from a state level, fast food, because it's handheld. And yes, by the way, it is fast food: It's sloppy joes, it's burgers, it's wieners, it's pizzas, it's all of that stuff. Ten percent of what we spend on healthcare, as I said earlier, is on obesity, and it's going to double. We're not teaching our kids. There's no statutory right to teach kids about food, elementary or secondary school. And obviously now that's going to catch on. The apple board is going to work out that if they make toffee apples they'll eat more apples as well. Do you know what I mean? For me, there ain't no need to flavor the milk. Okay? There's sugar in everything. I know the ins and outs of those ingredients. It's in everything. Even the milk hasn't escaped the kind of modern-day problems. There's our milk. There's our carton. In that is nearly as much sugar as one of your favorite cans of fizzy pop, and they are having two a day. So, let me just show you. We've got one kid, here, having, you know, eight tablespoons of sugar a day. You know, there's your week. There's your month. And I've taken the liberty of putting in just the five years of elementary school sugar, just from milk. Now, I don't know about you guys, but judging the circumstances, right, any judge in the whole world, would look at the statistics and the evidence, and they would find any government of old guilty of child abuse. That's my belief. Now, if I came up here, and I wish I could come up here today and hang a cure for AIDS or cancer, you'd be fighting and scrambling to get to me. This, all this bad news, is preventable. That's the good news. It's very, very preventable. So, let's just think about, we got a problem here, we need to reboot. Okay so, in my world, what do we need to do? Here is the thing, right, it cannot just come from one source. To reboot and make real tangible change, real change, so that I could look you in the white of the eyes and say, "In 10 years time, the history of your children's lives, happiness -- and let's not forget, you're clever if you eat well, you know you're going to live longer -- all of that stuff, it will look different. OK?" Fast food. With the fast-food industry you know, it's very competitive. I've had loads of secret papers and dealings with fast food restaurants. I know how they do it. I mean basically they've weaned us on to these hits of sugar, salt and fat, and x, y, and z, and everyone loves them. Right? So, these guys are going to be part of the solution. But we need to get the government to work with all of the fast food purveyors and the restaurant industry, and over a five, six, seven year period wean of us off the extreme amounts of fat, sugar, fat and all the other non-food ingredients. 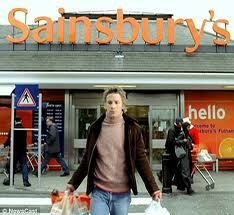 Now, also, back to the sort of big brands: Labeling, I said earlier, is an absolute farce and has got to be sorted. OK, school. Obviously in schools we owe it to them to make sure those 180 days of the year, from that little precious age of four, til 18, 20, 24, whatever, they need to be cooked proper, fresh food from local growers on site. OK? There needs to be a new standard of fresh, proper food for your children. Yeah? Now, look, if we do all this stuff, and we can, it's so achievable. You can care and be commercial. Absolutely. But the home needs to start passing on cooking again, for sure. For sure, pass it on as a philosophy. And for me it's quite romantic, but it's about if one person teaches three people how to cook something, and they teach three of their mates, that only has to repeat itself 25 times, and that's the whole population of America. Romantic, yes, but most importantly, it's about trying to get people to realize that every one of your individual efforts makes a difference. We've got to put back what's been lost. Huntington Kitchen. Huntington (American town name), where I made this program, you know, we've got this prime-time program that hopefully will inspire people to really get on this change. I truly believe that change will happen. Huntington's Kitchen. I work with a community. I worked in the schools. I found local sustainable funding to get every single school in the area, from the junk, onto the fresh food: six-and-a-half grand per school. My wish is for you to help a strong, sustainable movement to educate every child about food, to inspire families to cook again, and to empower people everywhere to fight obesity.